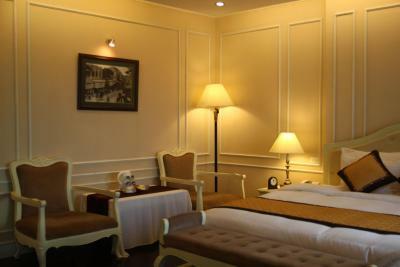 Lock in a great price for Medallion Hanoi Hotel – rated 8.2 by recent guests! good location. 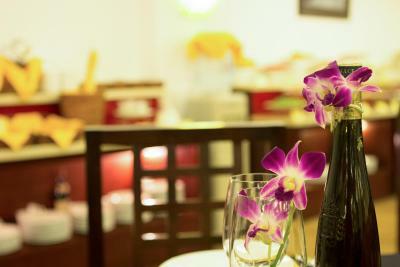 near bar, food and the night market, Hoan Kiem lake, old quarter and convenience store. Check in and check out fast. 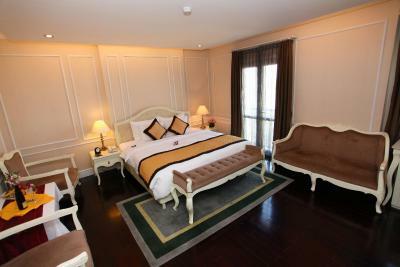 Will stay here again when revisit to Hanoi. I booked a room for two adults and two children (showed them the proof) in advance on booking.com, but they did request to charge 16 USD and ask to pay in advance before checking and keep us waiting after hours of travel. I was quite annoying! 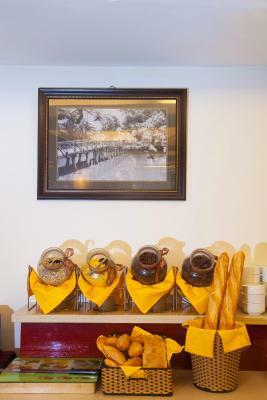 The staff were always extremely happy to help with any of our requests. 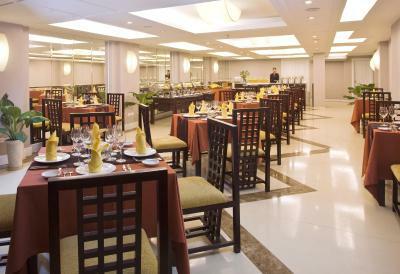 Friendly staff of hotel,easy to reach from airport to hotel,i say best place for to take rest just EAT ,DRINK, AND ENJOY . The staff at this place are fabulous, will do anything to try and make your stay better. The breakfast is awesome too. Plus we got a free upgrade so nothing bad to say here! 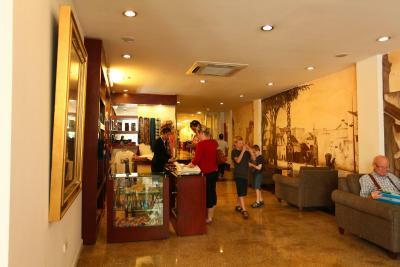 The location was great as an option close to the hostel where friends were staying. The staff are really helpful, kind, and polite. It also is great value for money. The quality of breakfast was very good. 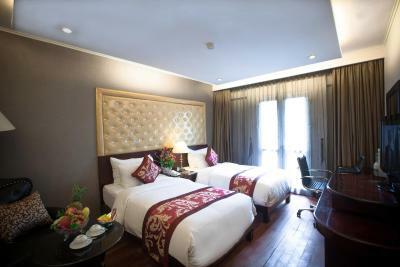 Medallion Hanoi Hotel This rating is a reflection of how the property compares to the industry standard when it comes to price, facilities and services available. It's based on a self-evaluation by the property. Use this rating to help choose your stay! 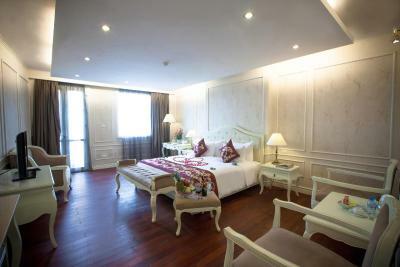 Medallion Hanoi Hotel is in central Hanoi’s Old Quarter, less than half a mile from Hoan Kiem Lake. 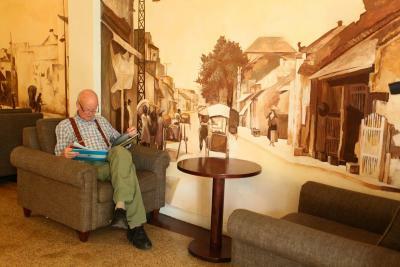 The hotel features free Wi-Fi, an on-site travel agency and butler services. Most rooms at Hanoi Medallion feature unique décor and private balconies. 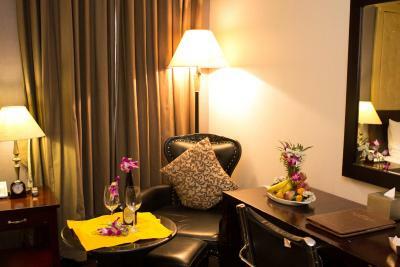 Flat-screen TVs, minibar and a personal safe are also provided. 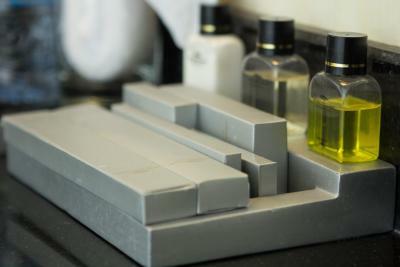 The Medallion provides butler services such as valet, shoe polish and dry-cleaning. 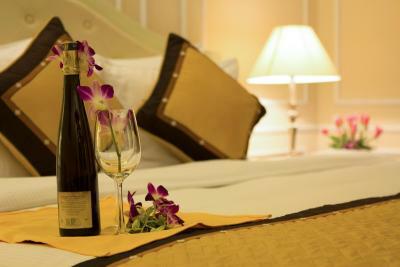 The butler can also assist with arranging tours or transportation. 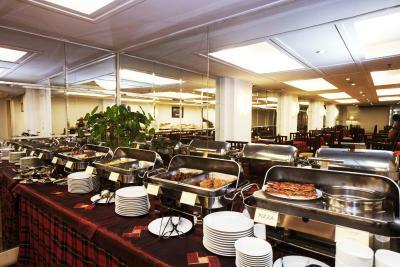 The hotel serves a daily buffet breakfast. 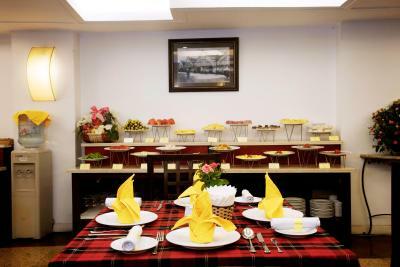 Guests can also choose to dine in-room with room service. 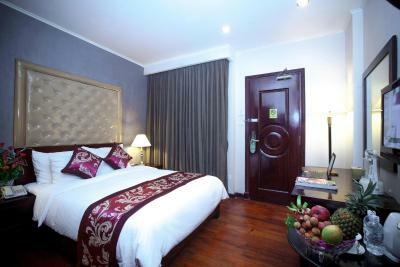 Medallion Hanoi Hotel is about 13 miles from Noibai International Airport. 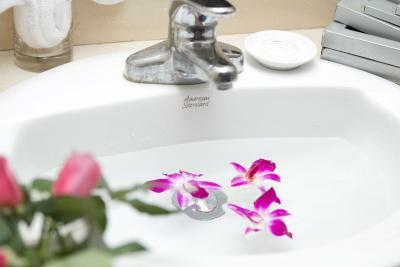 The hotel provides airport transportation upon request at an additional fee. 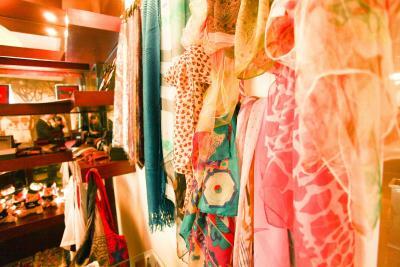 Hoan Kiem is a great choice for travelers interested in shopping, atmosphere and street food. 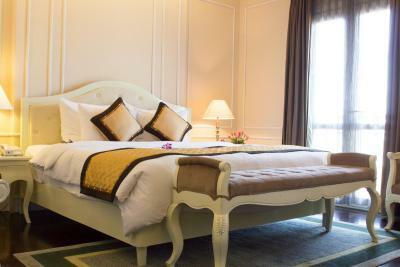 This is our guests' favorite part of Hanoi, according to independent reviews. 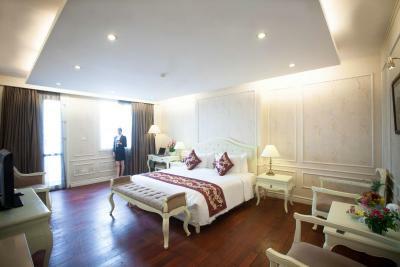 When would you like to stay at Medallion Hanoi Hotel? 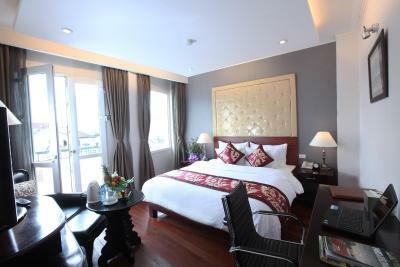 Room features a flat-screen TV, a minibar and a balcony with views of the city. 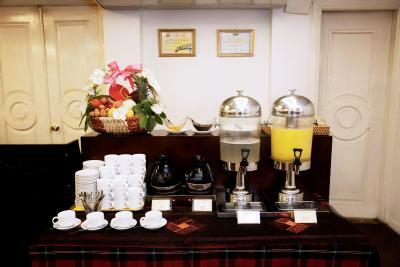 Comes with free wired internet and Wi-Fi access. 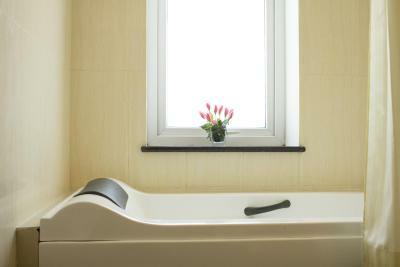 Room features a bathroom with both bathtub and shower. 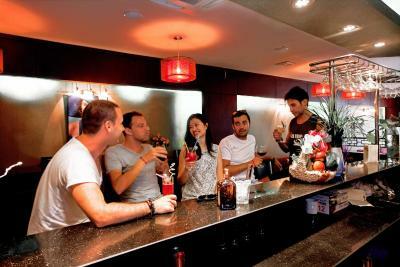 Has a flat-screen TV with satellite channels, free newspaper and a minibar. Wired internet and Wi-Fi access are both free. 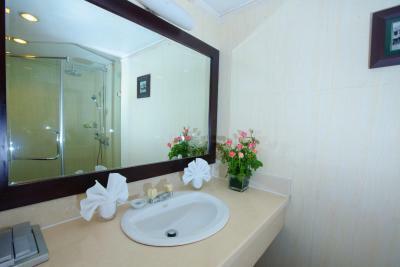 Room features a bathroom with shower. 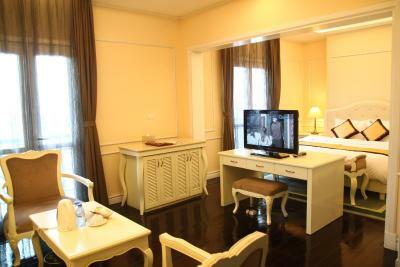 Has a flat-screen TV with satellite channels and a minibar. Wired internet and Wi-Fi access are both free. Room has a window with interior views. 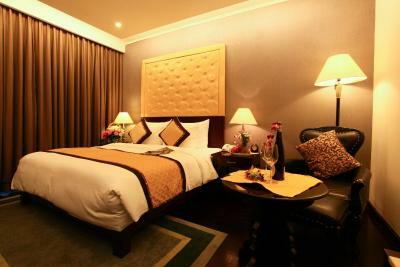 Spacious suite with sitting area and sofa bed. Features a balcony with city or garden views. 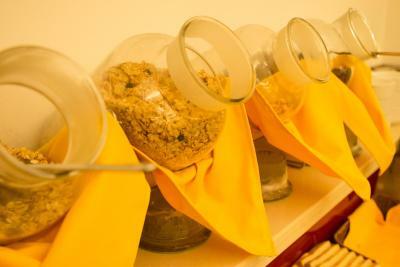 Amenities include a minibar, a flat-screen TV with free newspaper. Wired internet and Wi-Fi access are both free. Room features 2 separate bedrooms with interconnecting doors. 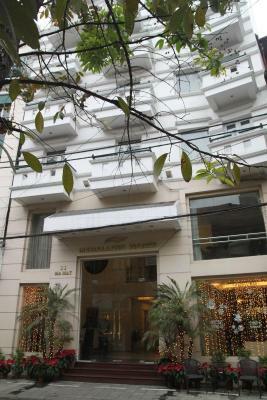 Hotel surroundings – This neighborhood is a great choice for travelers interested in shopping, atmosphere and street food – Check location Great location - show map Guests loved walking around the neighborhood! 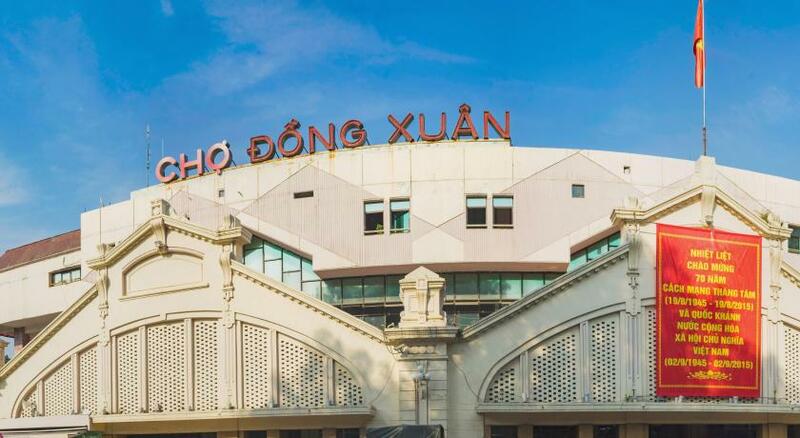 Hanoi's lively old town attracts huge crowds to see the "Thang Long Water Puppet Theater" and explore the night market. Or find some peace and quiet around Hoan Kiem Lake, a favorite with Tai Chi fans. 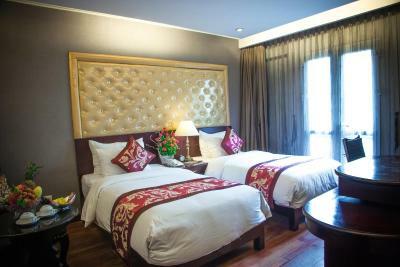 House Rules Medallion Hanoi Hotel takes special requests – add in the next step! 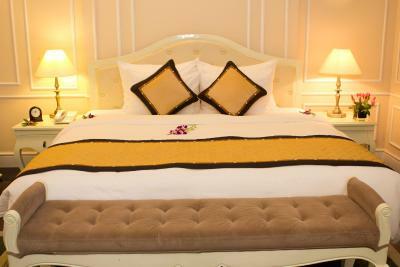 All children under 12 years are charged VND 466093.12 per night for extra beds. 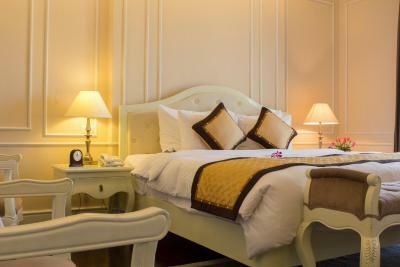 Any additional older children or adults are charged VND 466093.12 per night for extra beds. 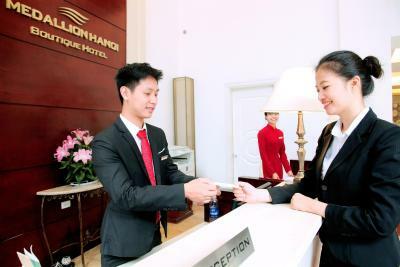 Medallion Hanoi Hotel accepts these cards and reserves the right to temporarily hold an amount prior to arrival. One of the most picturesque neighborhoods in Hanoi! breakfast not much choices. But not an issues to me. I always can have nice street food near by hotel. A bit run down. The room is OK but the toilet needs some little patch up work. The glass panel is screeching sharply to close, the flush button is a bit off from position, the hairdryer is not strong. But the rest are ok. Still have very comfortable 3 nights there. 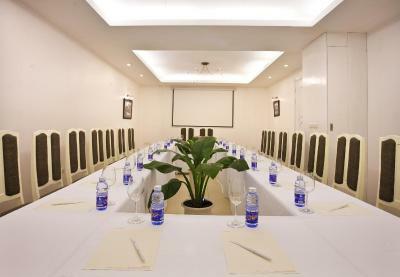 It is a strategic location for first timer to Hanoi! 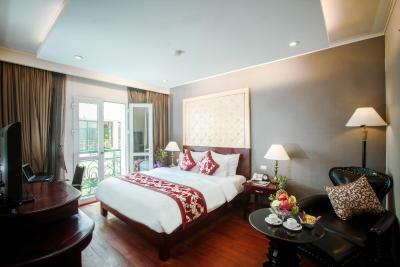 Choose the garden view room that’s Super quiet to get rid of the motorbikes honking. 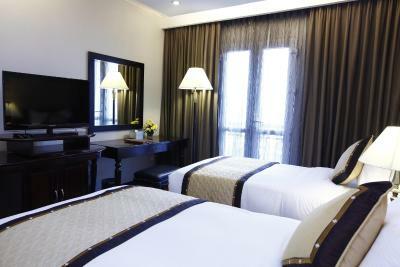 Nice location in the heart of Hanoi. 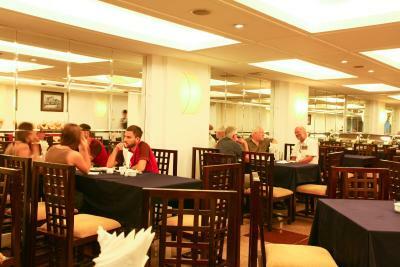 From the hotel you immediately walk into the busy streets with lots of restaurants and bars. The reception was very arrogant, I booked 2 single beds but they give me double bed and when I complained they said that I didn't pick type of room! even I still have my booking confirm, anyway just don't want to have any argument after a long tired trip. But I would not come back. 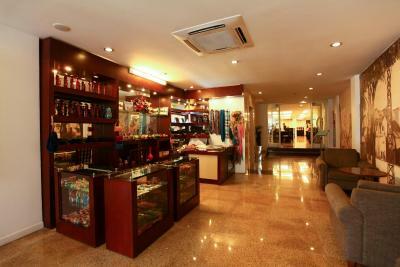 Good location, walkable to most of attractions of ancient town, restaurants and bars. 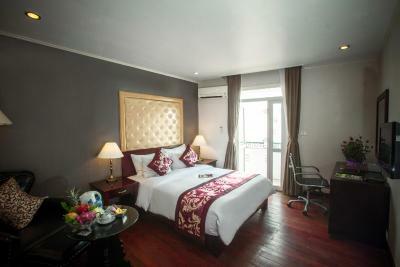 Clean and quiet room but quite small, smaller than what they describe, about 16m2 (172ft2) for double room. Breakfast was good and change everyday. Doormen were so polite and helpful. Great place to stay - very friendly. the hotel was under renovations, so hotel was a little dusty and jack hammers a little loud. 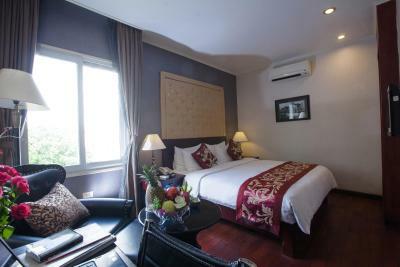 Rooms are cosy and clean, hotel location was excellent!! The booking asked for twin rooms and when we arrived at 1am in the morning they were all doubles. The adults had to share beds and it was very distressing for several of them. 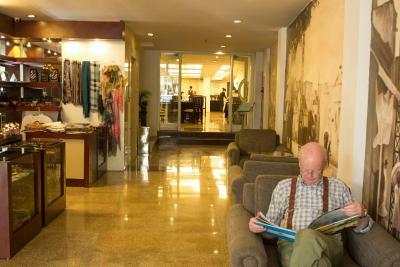 The front reception desk was very helpful the next day and couldn't do enough for us which was nice. Disappointed. VERY noisy if you stay in the balcony rooms near the front. Street music until very late. Backpackers hostel next door very noisy. Mould in the bathrooms and the front entry under renovation so have to change lifts multiple time to get to you room. Breakfast poor. Close to the Old Quater is the only reason we returned here for a second stay.